If you guys have been reading this blog for a while, you'll know I'm pretty obsessed with silky hair. I'll try anything and everything under the sun to get that silky, smooth hair (and trust me, I've tried a lot! ), and I've done tons and tons (and hours and hours) of research into hair products and hair care. 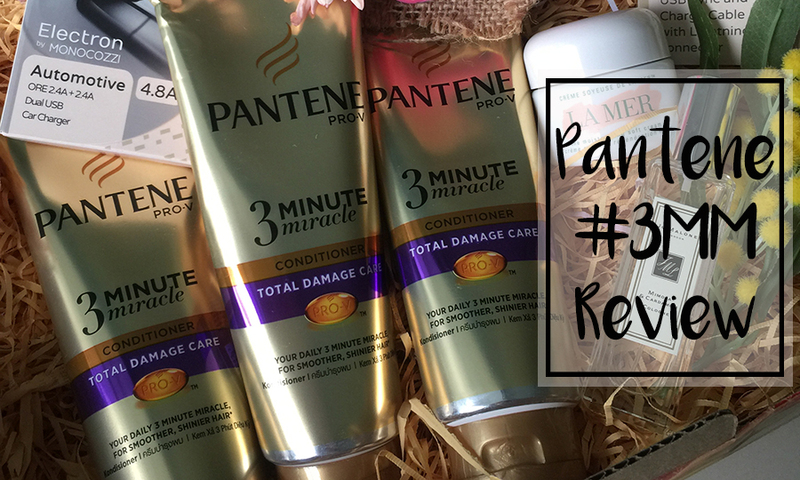 So when Pantene released their 3 Minute Miracle, let's just say I was a little more than overjoyed to be one of the first few to be able to try it. The Pantene Pro-V 3 Minute Miracle Conditioner (3MM) is a hair conditioner that you apply and leave on for 3 minutes in the shower before washing it off. It helps to moisturise dry hair and reduce the appearance of split ends, thus creating smooth, silky locks. This conditioner comes in a convenient squeeze tube so you can get every last bit of that product, and I love the gold colour - so glam! I noticed a difference immediately upon my first wash - as my hair started to dry, I noticed that it wasn't as difficult to handle, and much easier to detangle. After a couple of washes, my hair was much softer and smoother, and a lot less frizzy. Most hair masks are a bit troublesome to use because you have to leave them on for much longer, but the 3MM is so much more convenient because you can literally apply it, wash your face and body, shave your legs or whatever else you do in the shower, and you're done. I like applying it after rinsing my hair with shampoo and warm water, because I feel like it helps the product absorb into my hair better. I hope you guys enjoyed the video! If you're looking to try the Pantene 3MM, it is retailing in stores now for RM14.90 per tube.